WIP Wednesday: Cowl of Loveliness! This week the christmas project flow is slowing, blocking is happening at last and I have more time to spend on my own projects again. First up, I proudly present a Finished Object! I am renaming it the Cowl of Loveliness because it cheers me up to have colourful fluff round my neck while it’s so cold outside! It’s knitted in kidsilk haze stripe by Rowan, and is so snuggly and delicious! 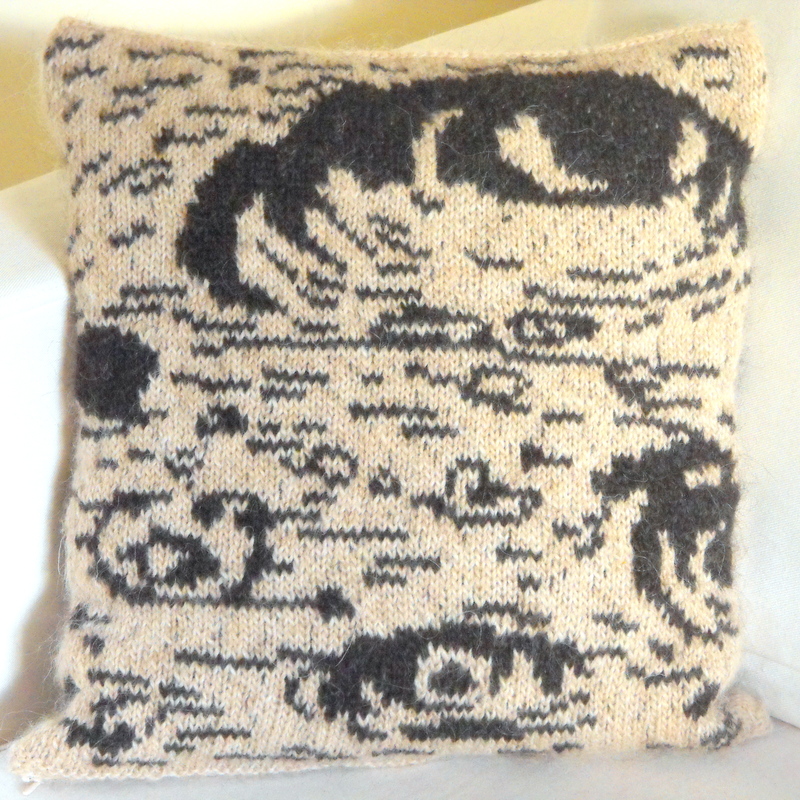 The pattern is the Cloud Cowl – an easy knit on circular needles. The only problem I had was finishing just before bedtime- pulling it over my head and ripping my too-tight bind off edge. Oh dear. Not to worry, I thought, knowing I could fix it in the morning. So the next day I carefully unpicked, checked, and re-knit the edge looser. It fit over my head but was still tight. Never mind I reassured myself, at least the cast on edge is fine. Well…it would have been, had I realised the cowl was upside down and I was merrily unpicking the lovely elastic CO edge. Oh dear. Now I have a cloud cowl with two tight edges, but at least it fits! Lesson learned. Spinning-wise I’m really enjoying working with the British jacob’s sheep fibre. It’s a shorter staple than I’ve used before but I like how easy it is to spin. I’m making a bulky 2-ply, spinning slowly. The hairiness of the wool helps the fibres to cling together with not much twist. I’ve made about 200g so far, and am now in the process of drafting together the rest of the chocolatey brown and white top for the next skeins. I imagine I’ll need to design a cardi for the yarn unless I end up with a correct gauge, but that would be a nice project I think. The final thing I’ve been working on is a WIP I abandoned back in the summer. It’s the Hraði sweater by Védís Jónsdóttir, knit in Einband, an Icelandic lace weight yarn. Both me and my mum fell in love with a sample we saw in a yarn shop here in Copenhagen, and had to make it. She has now made 2 of them (one in Hespa plant dyed yarn from the Icelandic knitting weekend) – where as I still have part of sleeve 2 and the yoke to go! The reason was that I started the sleeves using magic loop, and as Einband is thin and stretchy it was easy to pull it too tight at the start of the round. I was sick of wrestling lace weight yarn onto the size 6 needles and gave up. I’m not sure what changed, but I picked it up again last week, and somehow found my groove. I’m now enjoying making it again and looking forward to finishing it sooooon! Have you also got a pile of WIP’s on the go, or are you more of a 1-at-a-time knitter? This entry was posted in Knitting, Spinning, WIP Wednesday and tagged British wool, Christmas Knitting, Cloud Cowl, Handspun Yarn, Hespa, Hraði, Icelandic Knitting, Islandsk strik, Jacobs wool, Kidsilk Haze, Knitting, Rok, Rowan, Spinning, Strik, Védís Jónsdóttir, WIP Wednesday. Bookmark the permalink. 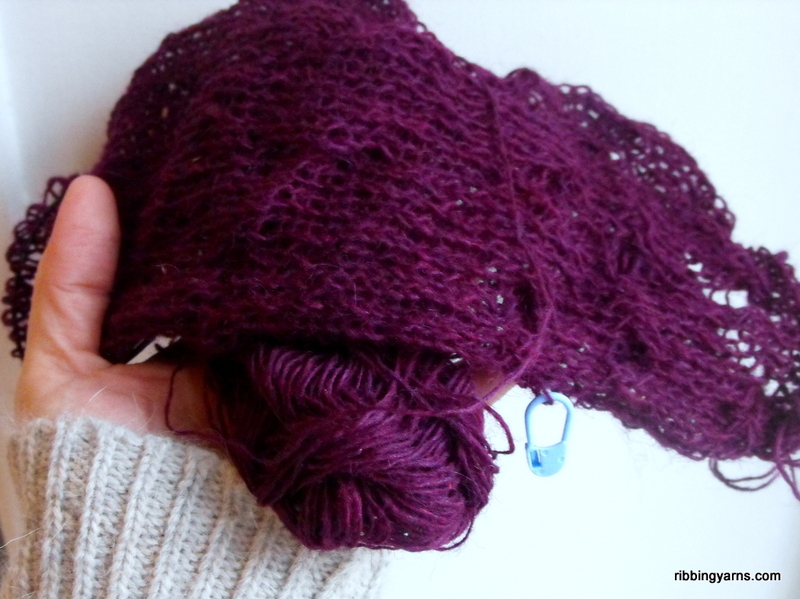 1 Response to WIP Wednesday: Cowl of Loveliness! I don’t always intend to have more than one but most often I do. Some get put aside until I can figure out an issue I’m likely having. Which usually results in having more than just one.